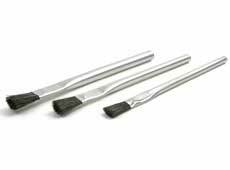 Available in 1/4" and 1" widths, these economy paint touch up brushes feature lacquered handles and are made from the finest flat camel hair. 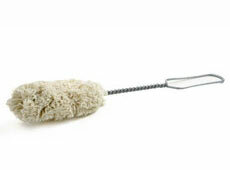 Ideal for use when quality counts yet are economical enough for one-time use. 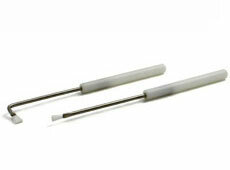 CS-1 Twisted-in-wire cotton Swab 3" dia. 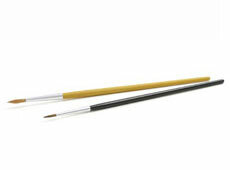 by 3" BP x 16"
CS-2 Twisted-in-wire cotton Swab 2" dia. by 3" BP x 11"
CS-3 Economy style twisted in wire cotton swab 2" dia. By 3" BP x 11"